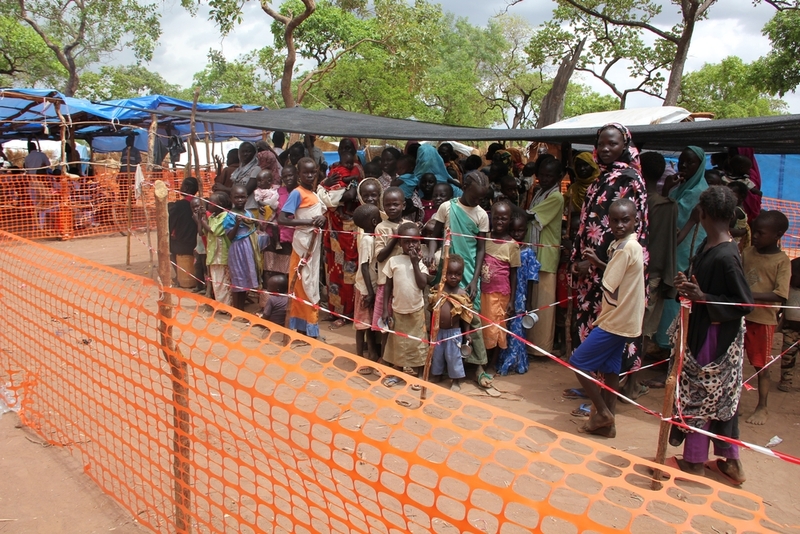 A spike in measles cases affecting young patients in Yida refugee camp, South Sudan, has prompted Médecins Sans Frontières/Doctors without Borders (MSF) teams to expand its operations. 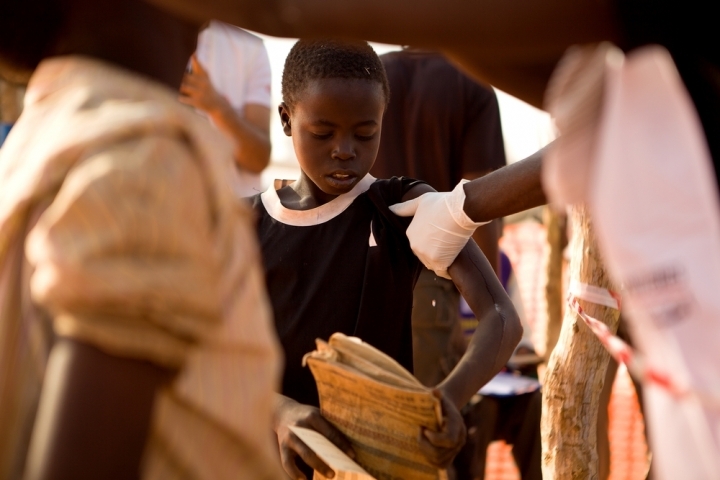 In response to the latest crisis, MSF teams have admitted 93 patients with measles and launched a mass vaccination campaign in collaboration with the International Rescue Committee (IRC) and the United Nations High Commission for Refugees (UNHCR). 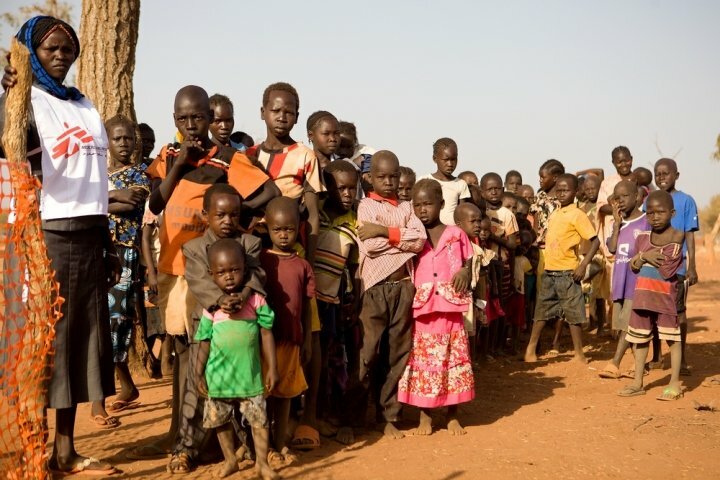 Many of the children have arrived in Yida, Unity state, after fleeing with their families from Sudan’s Nuba Mountain region, where bombardments and fighting between rebels and the Sudanese government forces have recently intensified. Faisa Said is exactly the type of person the vaccination campaign is designed to aid. She recently brought her two-year-old daughter, Nana Wii Said Kuku, to the MSF hospital in Yida with a high fever and the dry, wheezing cough typical of measles. The infant had also developed a secondary pneumonia, and a rash was starting to spread over her body. A machine supplied concentrated oxygen through a tube in her nose to help her breathe. Faisa hopes the outcome is the same for her daughter. But she knows measles is just one of many challenges her family must face. They first fled the violence in the Nuba Mountains in 2012, but went back home a year later hoping that it was safe. When the fighting and bombing worsened once again, they were forced back to Yida. Faisa Said can get treatment for her daughter, for which she is grateful, but she doesn’t yet know if or when she can return home. More than 100 staff have been recruited in the camp for the mass vaccination campaign. MSF has been working in Yida since 2011, a camp that is now “home” to some 70,000 Sudanese refugees. The crowded living conditions mean that the refugees are more susceptible to the measles virus that spreads with the droplets from the mouth or nose of infected persons. Children under the age of five and pregnant women are at highest risk due to their weak immune systems. The goal is to vaccinate 90 percent of the children in the camps and the nearby host communities between the ages of six months and 15 years—an estimated 35,000 children—over a period of five days. This would both increase the immunisation coverage in the area, as well as protect people from future outbreaks. MSF provides 300 consultations per week and admits an average of 120 patients in its hospital in Yida. More than 100 people have been recruited from the camp’s population to assist with the campaign, bringing the total number of staff working on in to around 140. Nine vaccination sites have been set up throughout Yida, each managed by teams of 12 that consist of a supervisor, vaccinators, preparers, watchmen, crowd controllers, and mobilisers. The mobilisers are community health workers who usually help MSF with health promotion, outbreak detection, referrals to the open patient department in the hospital, and tracing of tuberculosis treatment defaulters. The measles vaccine is given to children from six-months to 15-years-old. MSF is one of the healthcare providers in Yida refugee camp. The MSF facility in Yida, featuring outpatient and inpatient wards, began operating in 2011. More than 100,000 consultations have been performed, along with close to 2,600 hospitalisation admissions last year.